AH... my soul has been quenched! It's my last morning here in my bed, in my sanctuary above the Pacific Ocean. 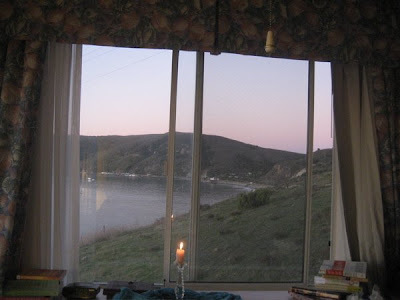 Here are the views out my two windows. My soul is full... my creative juices sizzling with excitement to get home to my studio to create! No, I didn't create all that much while I was here for this week... BIG progress for me, to let go of my goals to produce! while on vacation! INSTEAD?? I actually NAPPED! Deep, deep, afternoon sleep, on our Winter sunny deck, in our deep, oversized recliner that my honey hauled out for me. A deep sleep that had dreams playing on the insides of my eyelids. Dreams with soul messages, about choosing to live ON PURPOSE... on MY purpose. If I am going to teach/lead others, I hafta walk the talk! And, it's all good! I'm thankful for naps. So I depart with an attitude of extreme GRATITUDE! God is GOOD. I am REFRESHED. Vacation Time - Time to create, time to nap! Ahh.... finally, our long awaited vacation! 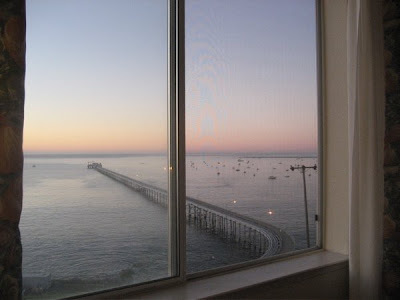 We're at the lovely San Luis Bay Inn at Avila Beach, just north of Pismo Beach. An easy three hour drive from home. 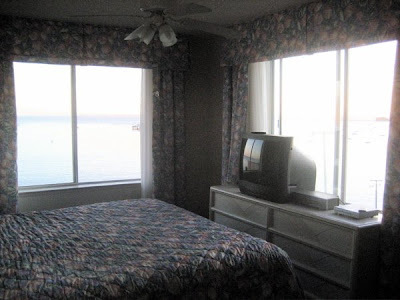 We've got an amazing two bedroom suite, a corner unit overlooking the bay and ocean! 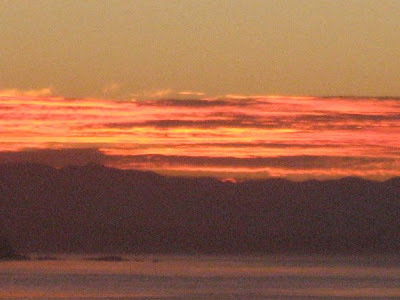 First picture is the amazing sun rise on Monday morning.... keep scrolling down, you've got to see Bill's amazing art work! so, this is my office away from home. I didn't get out of bed till noon today! Can you blame me? it's amazing! 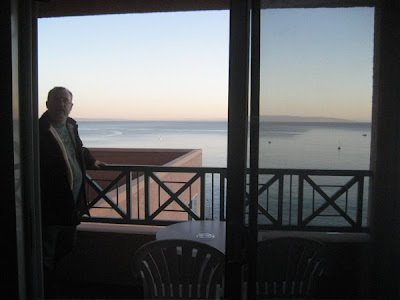 Here's my honey looking out our livingroom deck. AND! 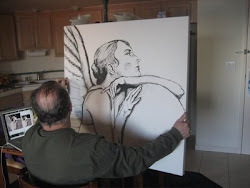 here's my honey finishing up this amazing angel sketch! I did the preliminary rendering via photoshop ( note the computer picture in the corner) Then Bill renders it on a huge 36" square canvas! 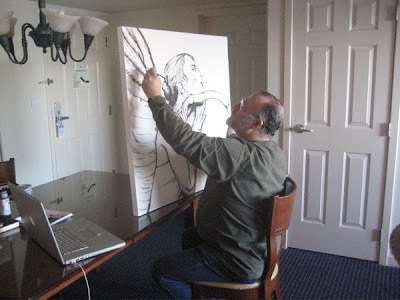 This man is the most phenominal artist! Just look at his precision! Tomorrow I'll add in the color. I love these collaborative paintings! and I'm so thrilled to be married to this man! I'll post more tomorrow... he's already plotting out another canvas! Blessings to all, and time for another nap!